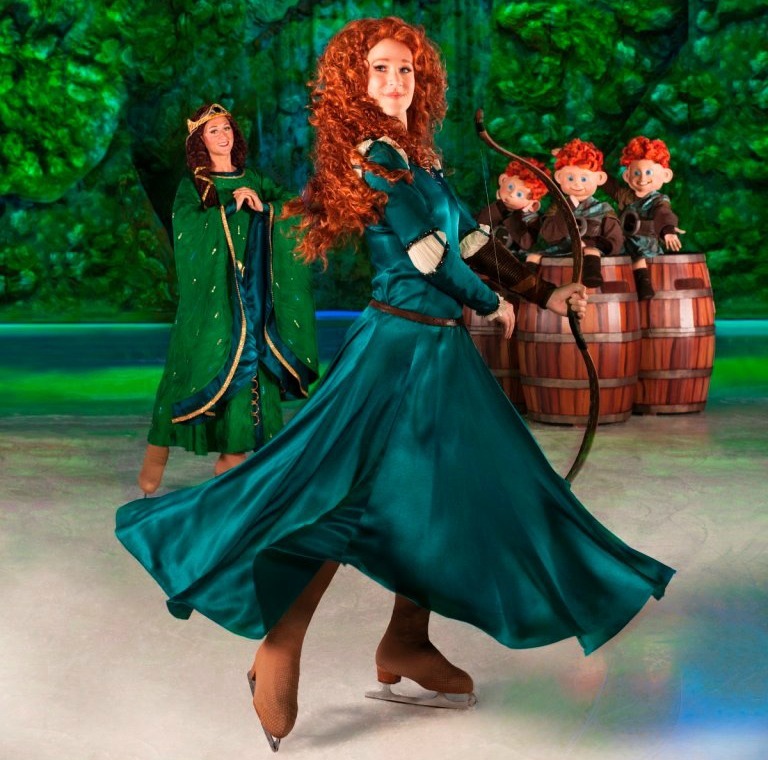 Congrats to our ticket winners for Disney On Ice presents Rockin’ Ever After & Bud Not Buddy! You'll be ChiILin' out with ChiIL Mama at some awesome shows. We'll have photo filled features & reviews up for both, so check back like we vote in Chi, IL...early and often! Disney On Ice presents Rockin’ Ever After--We had an awesome response with 570 entries and our winner is Michael F.
All of our readers are winners! Click on the link above to get a discount code for ChiIL Mama readers, purchase tickets, see full show details, and more. FREE PARKING in all official Allstate Arena and United Center parking lots. Visit arena website for more information. Rockin' Ever After is a talent show! Be prepared to see Mickey and all his friends leading you through these Rockin' sing offs and performances! 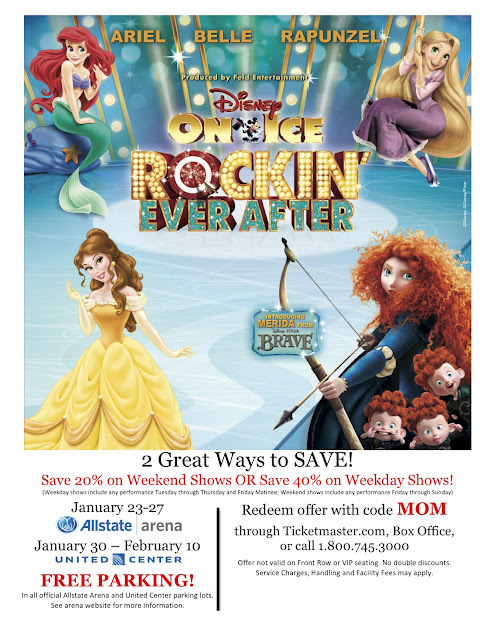 Opening night tickets on Weds., Jan. 23 at 7 pm at Allstate Arena and Weds., Jan. 30 at 7 pm at United Center are just $12! The shows on Sunday, Jan. 27 at 7 pm and Sunday, Feb. 3. at 3 pm are specialty spanish performances. Bud Not Buddy--We had an great response with 230 entries and our winner is Matthew S.
Click on the link above to purchase tickets and for full show details, a free RSVP to meet the author on MLK day, and more details about special extras on certain nights like pizza parties and pre-show live jazz concerts! Don’t miss Thursday night Pizza Parties at Bud, Not Buddy: enjoy delicious Pizza and Purity Organic Juice before the show. Only $20 a ticket (includes pizza party and performance!). Pizza parties begin at 5:45. Theatre doors open at 6:15. Join us for Friday night Pre-Show Jazz Concerts at Bud, Not Buddy: at 6:00, enjoy depression-era jazz music performed by local high-school and college ensembles. Only $25 a ticket (includes concert and performance! )Doors Open at 5:45. TICKETS ON SALE NOW. WEEKDAY MATINEES FILLING QUICKLY! Late seating is at the discretion of the House Manager. If you arrive late, your party may not be able to sit together. 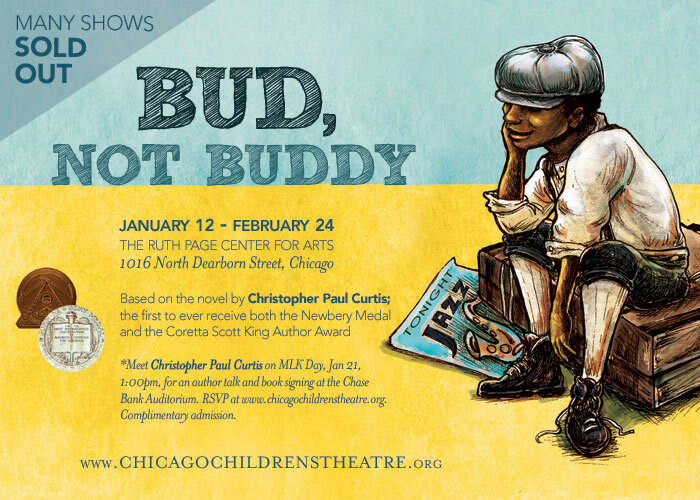 Bud, Not Buddy follows the journey of a young African-American orphan as he searches for his father. Clues kept in a suitcase lead him to adventures in Depression-era Michigan, where he finds community among a group of jazz musicians and, ultimately, an unexpected sense of home. 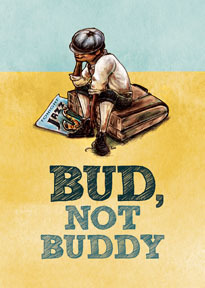 Popular reading in the classroom, author Christopher Paul Curtis’ Bud, Not Buddy was the winner of the 2000 Newbery Medal and the Coretta Scott King Award. In 2010, Jackson’s stage adaptation won the Distinguished Play Award from The American Alliance for Theater and Education. Award-winning director Derrick Sanders – Founding Artistic Director of Congo Square Theatre Company, aChicago Tribune Chicagoan of the Year in 2005, winner of multiple Joseph Jefferson Awards and Black Theater Alliance Awards, and director of CCT’s 2010 world premiere Jackie and Me – has a national reputation, having directed at countless Chicago, regional and New York theaters. He is known for his many collaborations with the legendary August Wilson, including in Chicago his award-winning productions of Joe Turner’s Come and Gone and Seven Guitars for Congo Square. His Off-Broadway directorial debut, Wilson’sKing Hedley II for Signature Theatre, received two Lucille Lortel and Audelco nominations. He was also a part of August Wilson’s World premiere productions of Radio Golf and Gem of the Ocean on Broadway and at the Huntington Theatre, Mark Taper Forum and the Goodman.